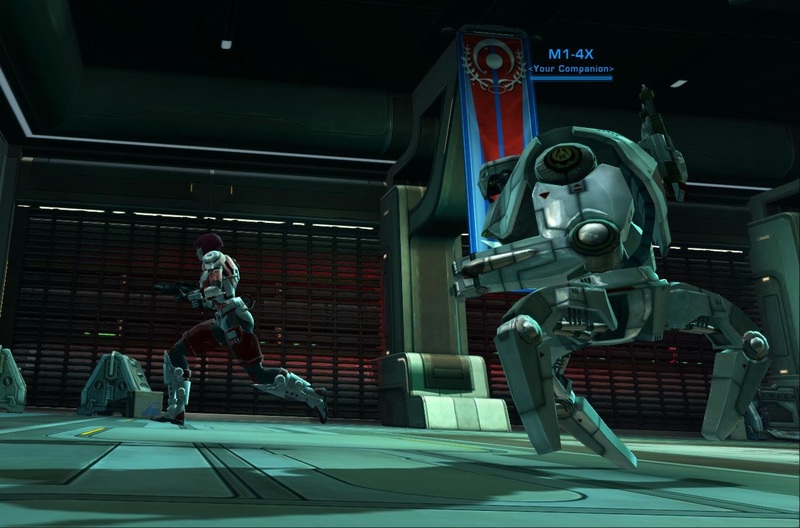 Let's start with this shot of my Vanguard jogging around Corellia (I think) with M1-4X. It's quite impressive how quickly he manages to juggle those three legs... I've said before that 4X is one of my favourite companions ever - he just has this way of worming himself into my troopers' hearts. Even if I start off with a plan to focus on a different companion this time, 4X eventually manages to secure a place by my side again because he's just too damn fun to have around... even more so now that he can play any trinity role and can always achieve perfect role synergy with your character. (His ranged tanking used to be a bit lackluster.) 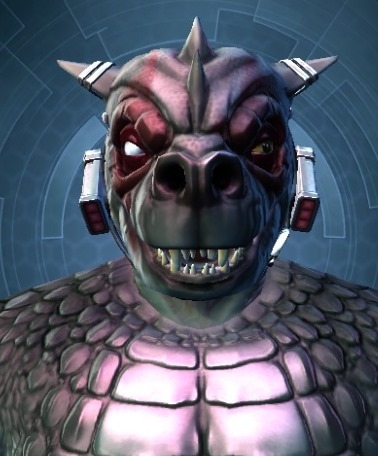 Now that KotFE has made him available to my non-troopers as well, he's also winning on that front simply for constantly gaining "free" influence from me doing PvP. 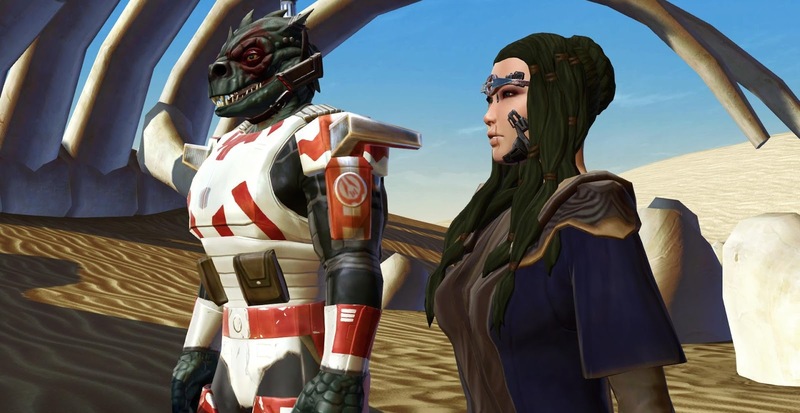 Here we have one of my Sage alts on Tatooine with Qyzen Fess during one of his companion quests (this was before I could dye her hair blue). 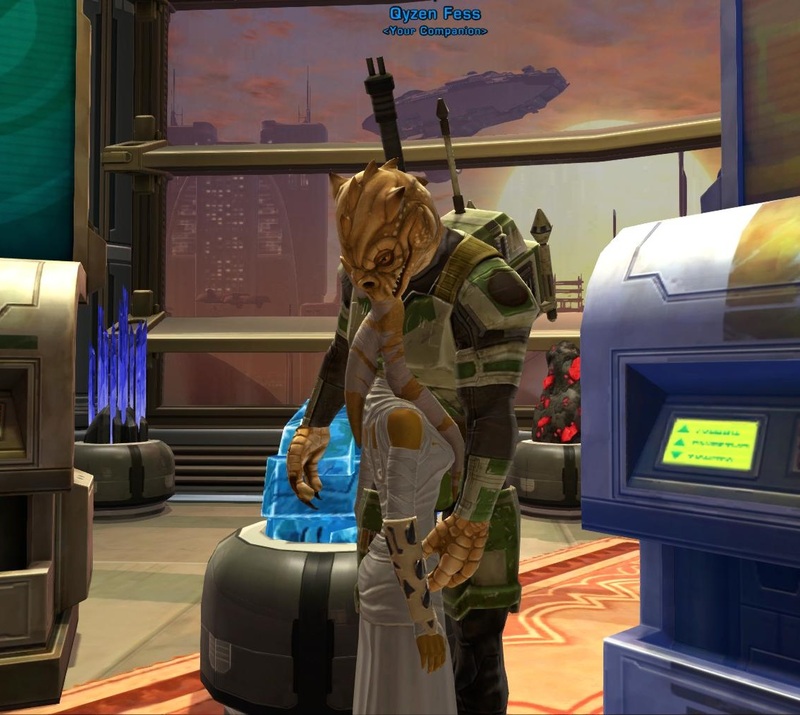 Qyzen is sporting the Kephess customisation from Explosive Conflict because Kephess Qyzen = best Qyzen. Reading other people's accounts of their playthroughs it sometimes feels like I'm the only one who doesn't hit every single flirt option that comes up, trying to romance everything that moves. 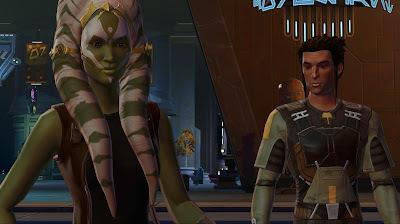 For this reason I haven't seen most of the romances in the game to this day, not even the ones my all-female character stable would have been able to. Since Shintar was never romantic with Aric, I decided to give romancing him a go on my Vanguard... but really, it's not all it's cracked up to be. 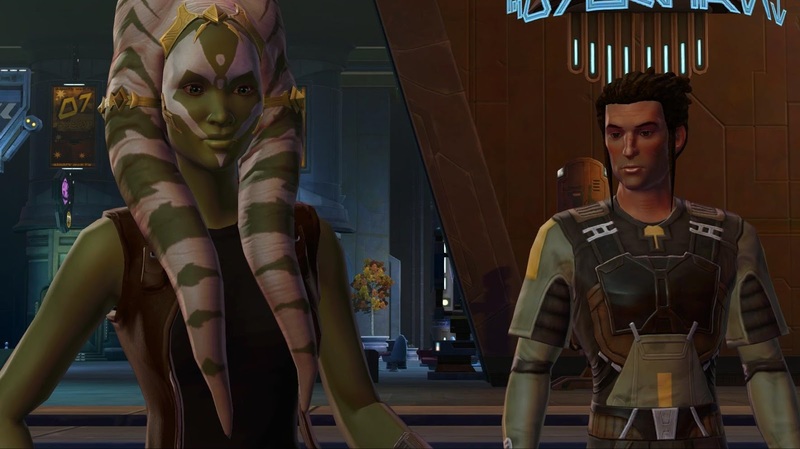 It doesn't help that Jorgan kind of acts like a clichéd action hero in the sense that he likes to let the tough guy hang out most of the time, only confessing his feelings under certain amounts of pressure. It's hard to picture him in a proper committed relationship where he'd actually have to act like a normal person most of the time. Here's another picture of 4X, which I saved under the file name "M1-4X being lazy". A known graphical glich that doesn't just affect companions is that after being knocked down by something they sometimes don't appear to get up again, even though gameplay-wise they behave as normal. 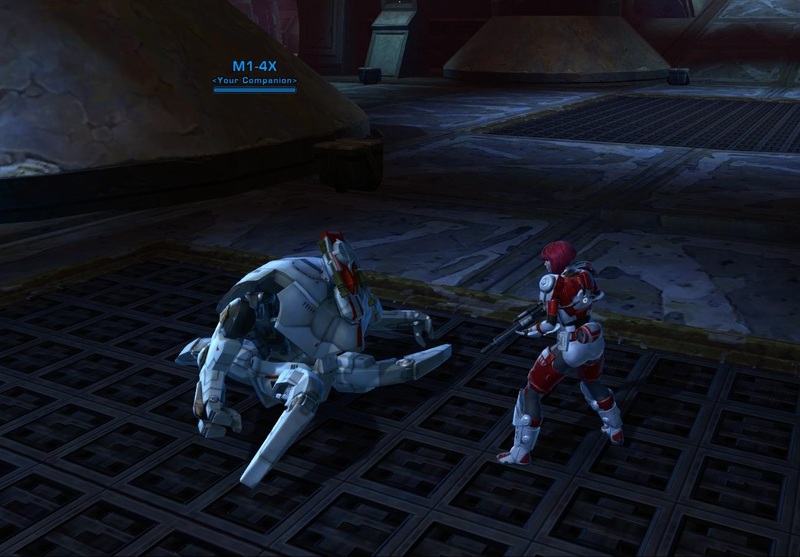 It's an endless source of amusement when this happens in ops and the tank suddenly appears to be sliding around the floor face-down. Here's a shot of my Scoundrel Zataa, whom you might recognise from some of my PvP videos with Traitine as she was created specifically for the purpose of doing lowbie PvP. She has the default Corso by her side here, and I thought this was worth a mention because to this day, I keep struggling to remember that this is the default. 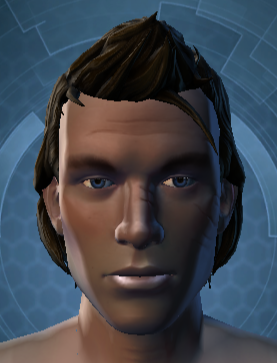 This is because my first two smugglers both chose customisation #3 for him, which uses the same face but gives him a darker skin tone and a more sensible haircut. I'm not fond of the default hair at all, and the weird shininess of his skin annoys me even more. No pets in this edition as I didn't actually have any recent screenshots of pets! I guess I'm just not much of a mini-pet person. Love your thematic approach to the challenge. On the first image it looks as if you're being chased by M1-4X!